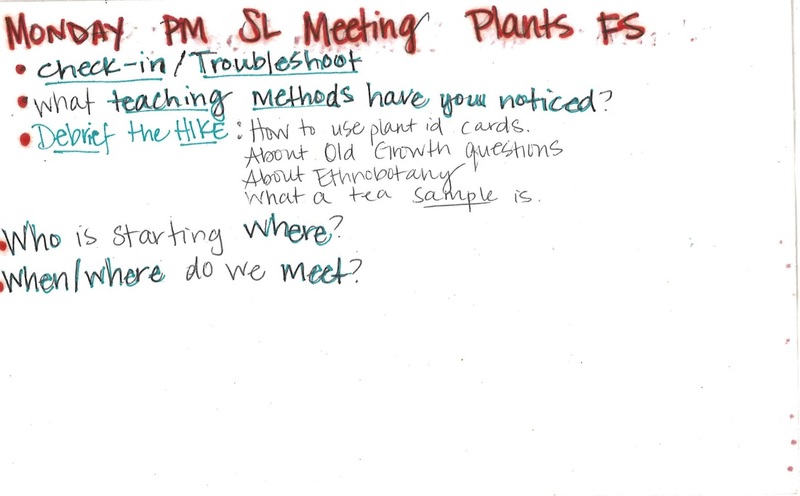 Each morning, during your field study introduction, your Program Leader(s) will meet with your Student Leaders to discuss strategies for the upcoming field study day. 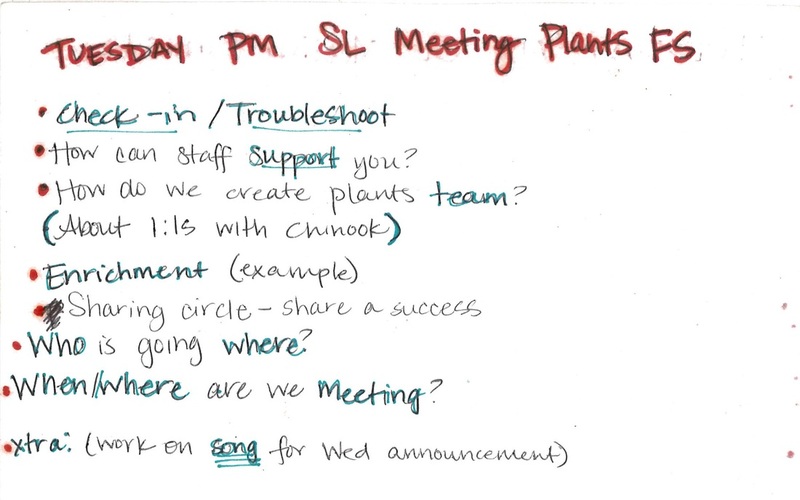 It is helpful if you provide topics for your Program Leader to facilitate those meetings without having to prepare anything on their own. 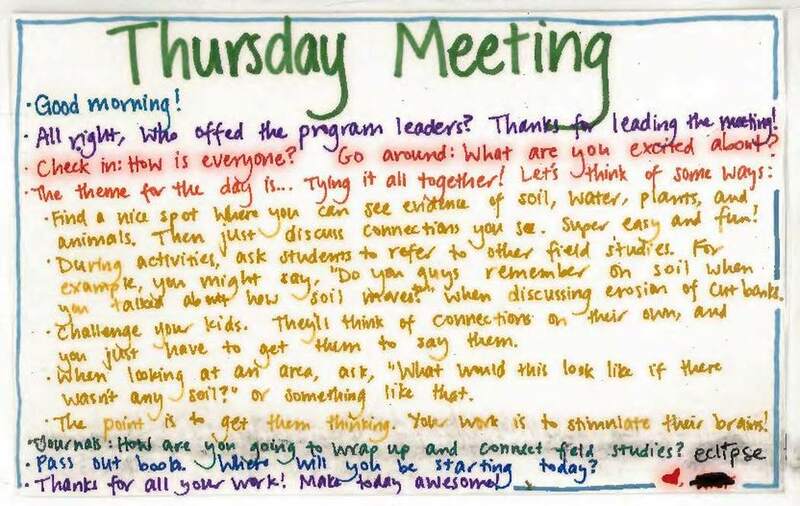 Depending on your site, you may or may not have a Program Leader available on Thursdays. 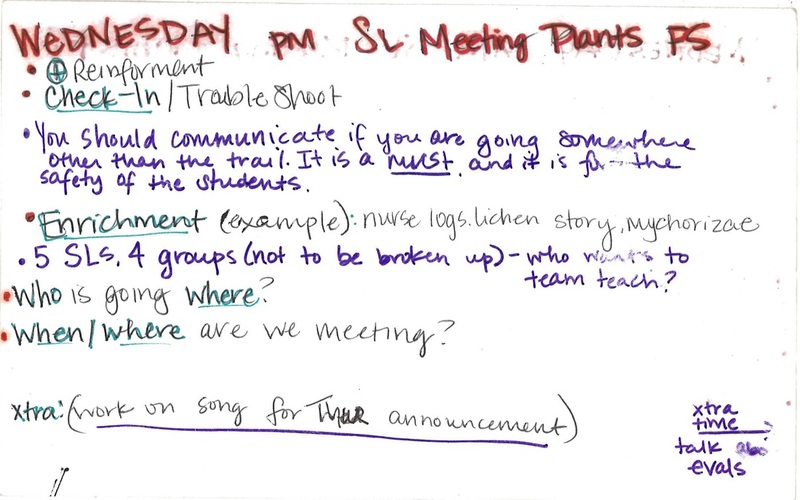 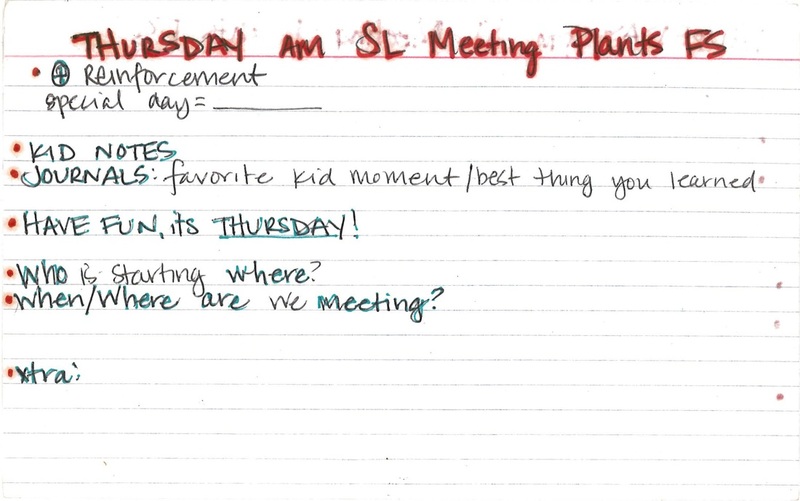 Designate a Student Leader to run the meeting for you on that day. 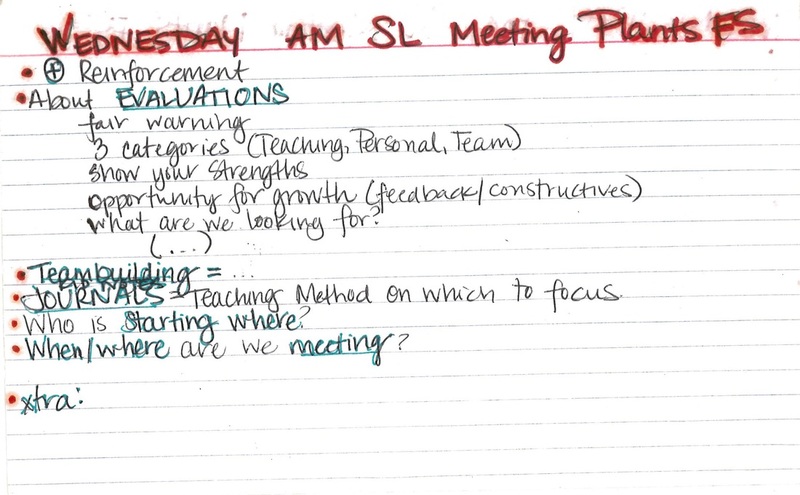 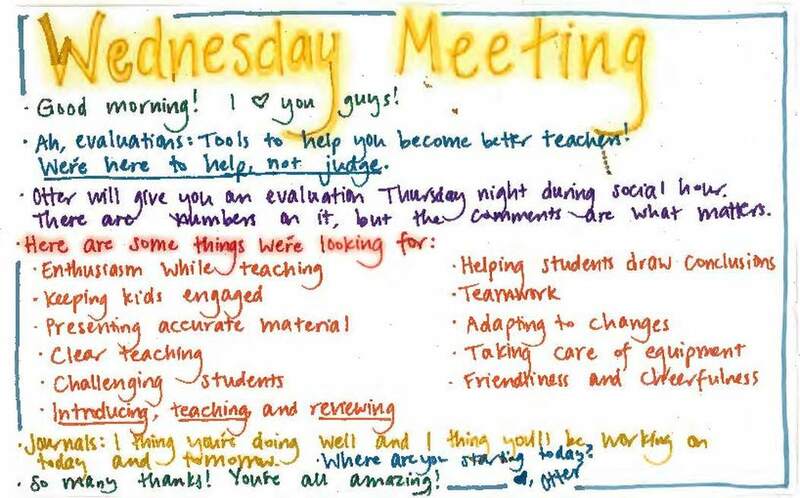 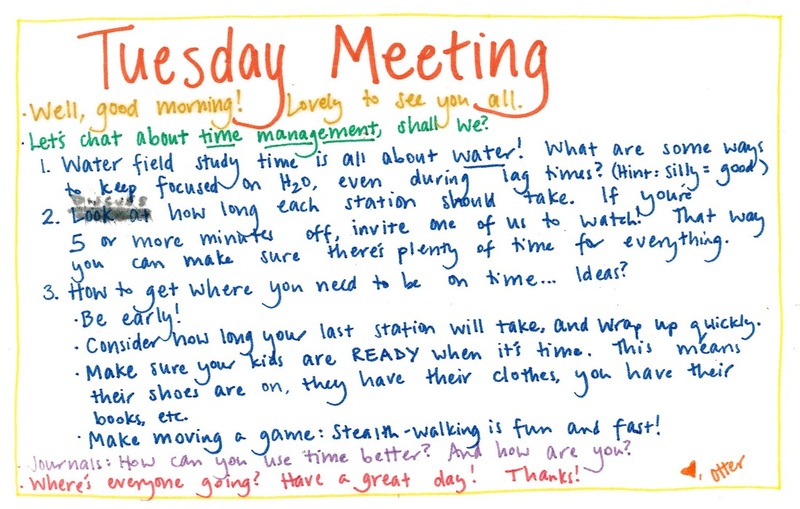 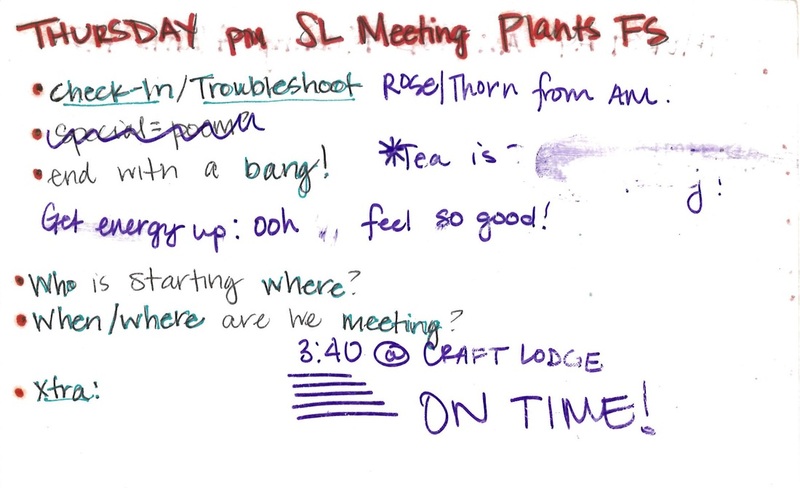 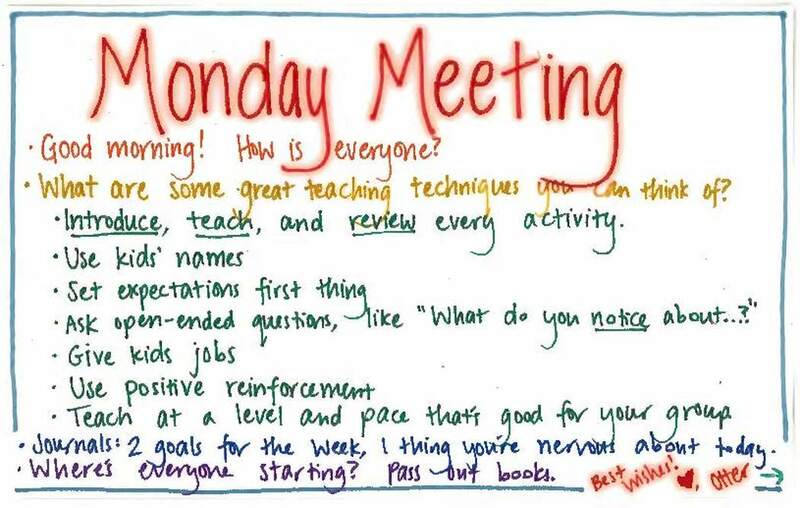 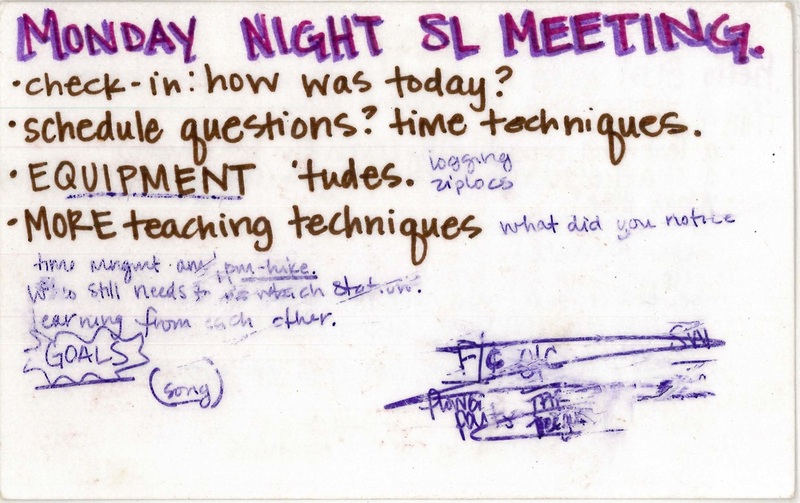 Each group of students, Student Leaders, and daily weather changes will all provide their own peculiarities that will require unique meetings, but a standard framework is a good starting point. 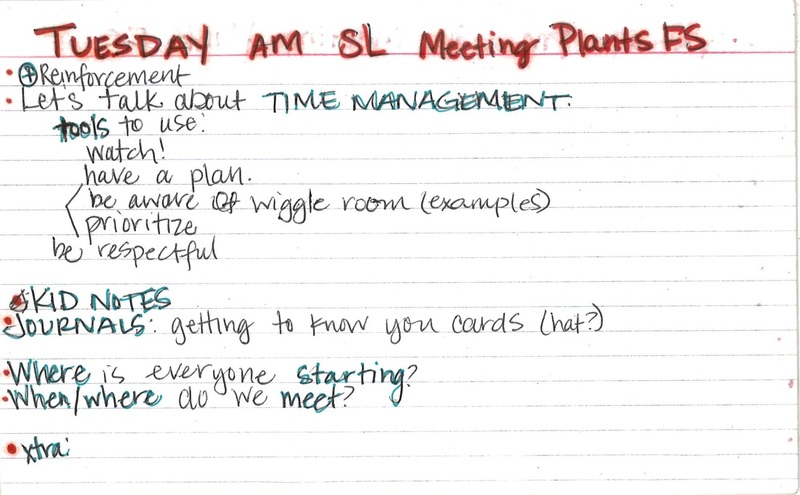 The cards to the left were developed by Lisa "Otter" Vieno, and can be adapted to your needs. 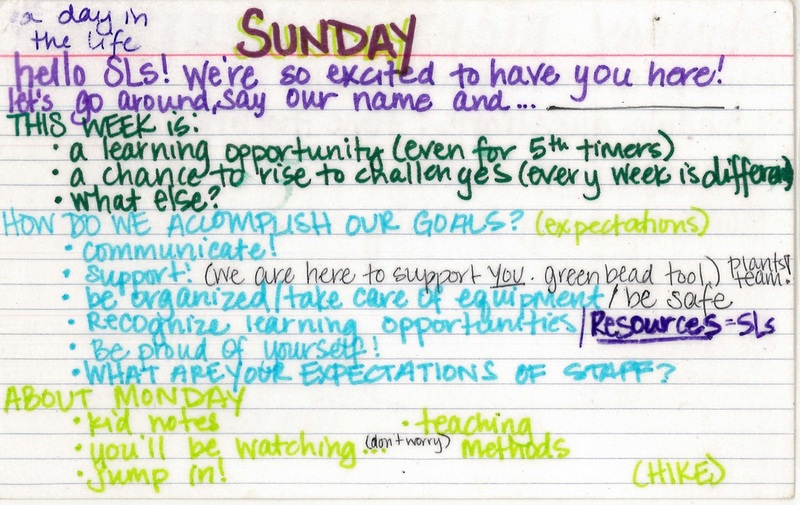 Another style shown below; different cards for each half day, plus Sunday training and Monday night. 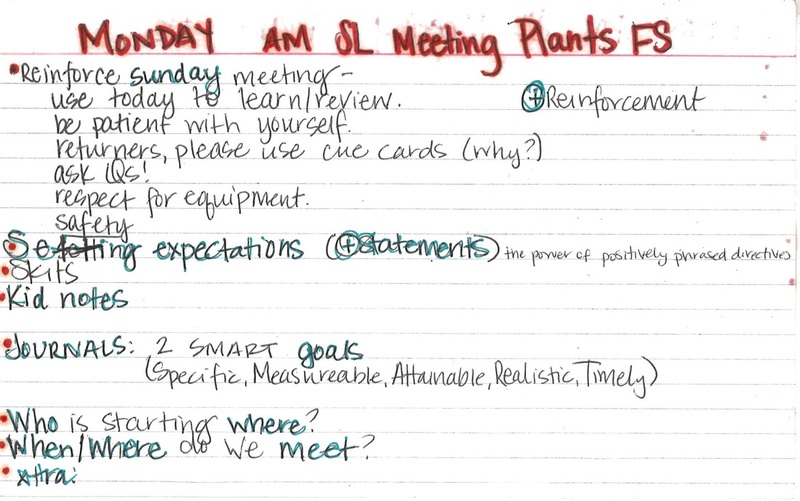 ​Download PDF of the cards below.